Etching, 134 x 103 mm. Bartsch 20, Biörklund and Barnard 38-B, New Hollstein 170, 2nd state (of 4). Impression of the 2nd state (of 4), with the jaw under the left ear clearly delineated but before the posthumous rework. 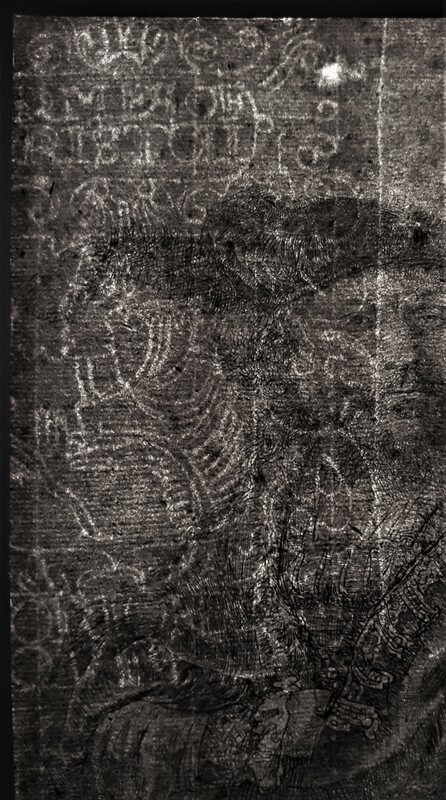 Rembrandt’s signature is bearly visible but the impression is fine and homogeneous. 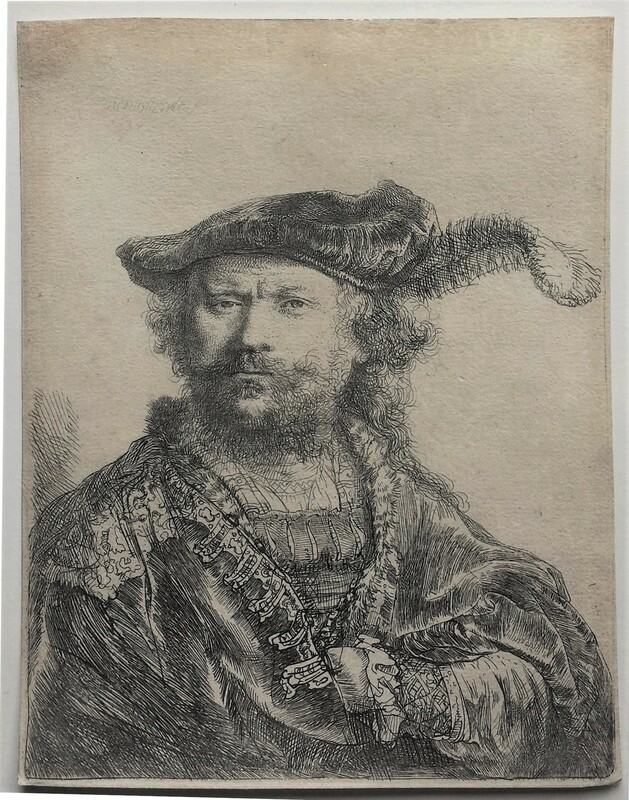 On later impressions of the 2nd state, Rembrandt’s face is often badly printed, but here the lines of the face are well printed and Rembrandt’s gaze is strong. Impression printed on watermarked laid paper (watermark: Arms of Bristol A.a listed in New Hollstein for impressions of the 2nd state). In very good condition. Impression trimmed on or just outside the platemark. 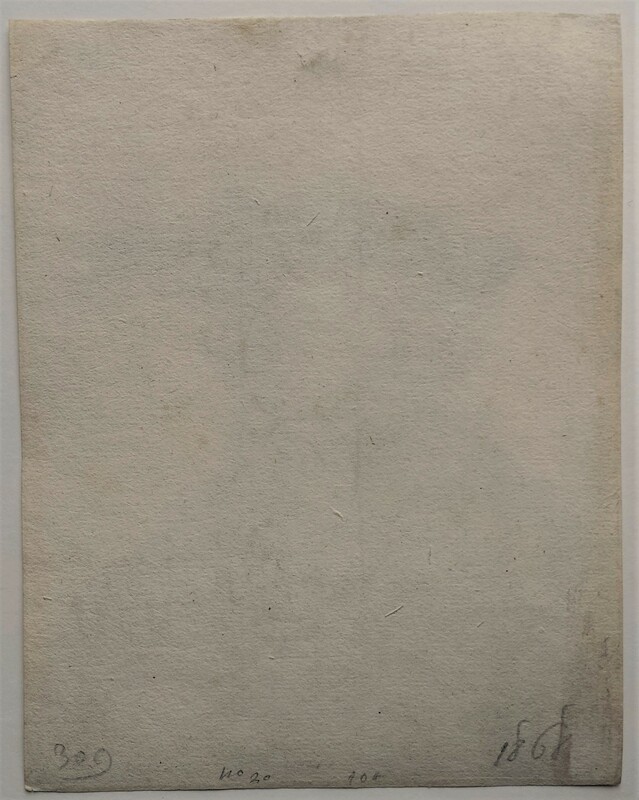 A very tiny repaired area of paper thinning verso in the upper part. A tiny scrape bottom center.